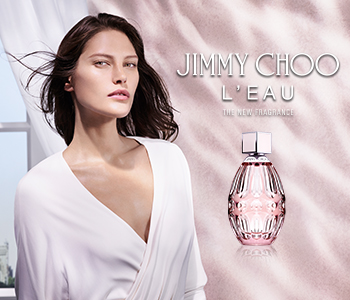 The Jimmy Choo L’Eau fragrance collection will reveal the courage and confidence within every woman, thanks to its uplifting and inspiring composition. Made with the Jimmy Choo woman in mind, the L’Eau perfume is a perfect match for someone that is never afraid to speak their thoughts or live their dreams. As elegant as she is audacious, the Jimmy Choo L’Eau woman is a free spirited character that always lives life to the fullest.